With markets down roughly 5% this week, we didn't want to start the weekend without sharing some insight on what we have been seeing and where markets may be headed next. This week's decline was interesting, as it occurred with very little geopolitical or economic news to drive prices lower. Fundamentally, we believe that the market is starting to respond to some of the concerns that we've been discussing for the last several quarters: over-inflated price/earnings ratios, aggressive investor behavior, and a bit of irrational exuberance for companies that have yet to prove their business model is profitable. 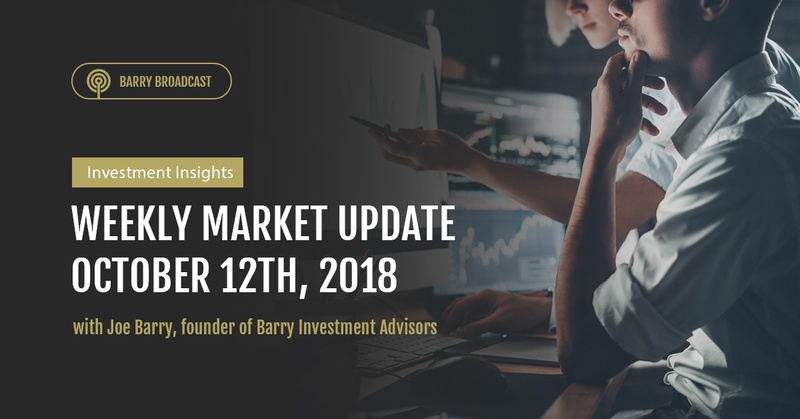 Listen to the full audio commentary below, and please reach out to your team at Barry Investment Advisors if you have any questions or would like to discuss.